When decorating your home, think of your floors as the foundation for your design scheme. An area rug can visually integrate or harmonize eclectic elements in any décor or can revitalize a room. 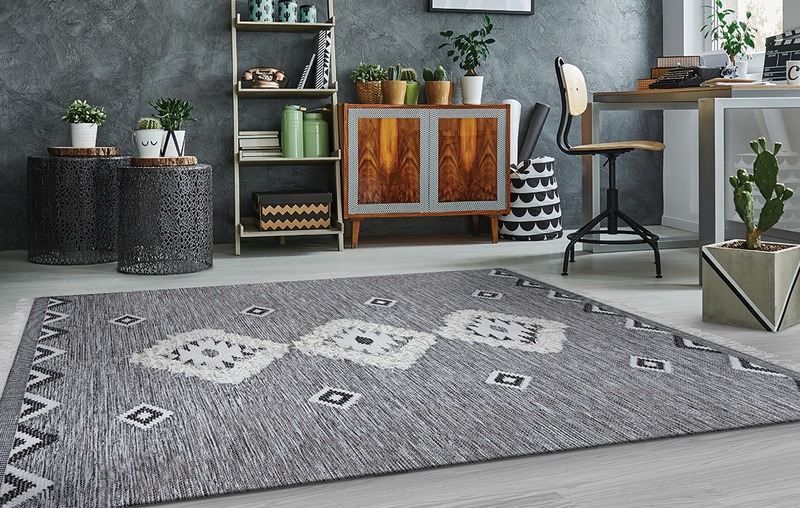 There’s an endless array of area rug designs to choose from; Oriental, Persian, contemporary, country/casual, transitional and novelty designs are just a few that can be found in nearly any price range. 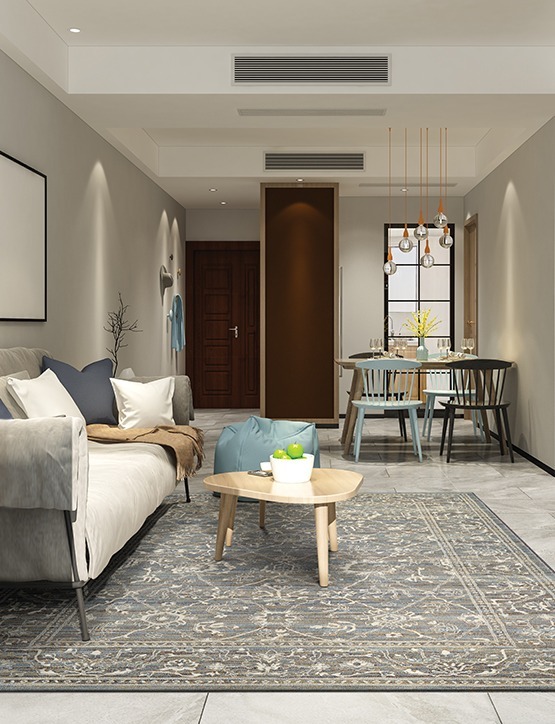 This checklist, presents some questions you should ask yourself in order to properly assess what your area rug needs are. Visualize the desired total look of the room. Do you want a room that’s uncluttered and monotone or a room rich with colors or textures? If you start with a total empty room, choose an area rug, then paint or paper the walls in colors found in the area rug. Remember, the area rug has to fit the room – in more ways than one. Consider how the room is used, how much traffic the area gets and who will view it under what light. For high-traffic areas such as hallways and foyers, you may want a durable, patterned area rug. Choose furniture that enhances the area rug design or colors found in the area rug. If you start with furniture, choose an area rug to pick up the colors used in your furnishing patterns. Patterns can be mixed if they are coordinated by color. 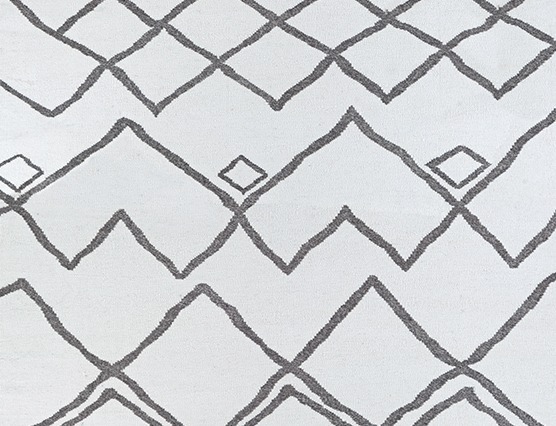 Elements of an area rug design can be further incorporated into the overall design scheme. For example, if the area rug is floral, add framed prints or flowers in similar colors. Size up the size of the room and the area you want to cover. The most common area rug sizes are 4’ x 6’ and 6’ x 9’. They will work well under a coffee table. An 8’ x 11’ area rug or larger can cover the majority of a room. Smaller area and scatter rugs can be ideal for adorning smaller spaces – a hearth, a bedside, the area in front of a kitchen sink – with a splash of color and warmth. An area rug with a bold, overall design can be the focal point of a room with a chair and sofa in solid or subdued patterns. Light colored area rugs make a room look more spacious and deeper colors lend coziness to a room. Choose an area rug that will perform well, with the right combination of density and fiber. The denser the pile (with closer tufts or stitches), the better your area rug will wear. Synthetic yarns – nylon, polyester, acrylic and polypropylene – and the naturals – wool and cotton – are durable, soft and easy to clean. You’ve got to hand it to machine-made area rugs; they may look strikingly similar to the handmade kind, but they’re usually much less expensive. Watch out for fringe elements. If the area rug you like has fringe, make sure it’s sewn on well, and be sure to carefully use the vacuum cleaner. 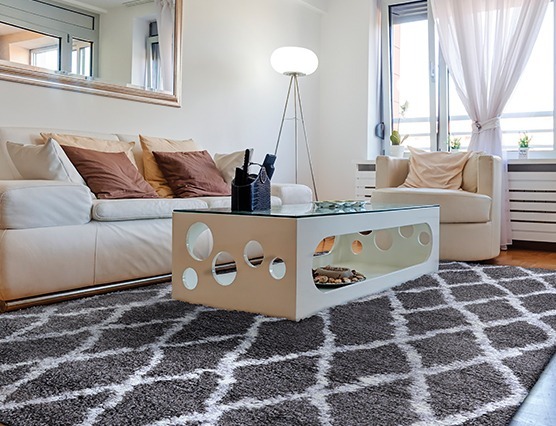 Don’t be boxed in by the idea of getting a rectangular area rug. A circular, octagonal or square floor covering can add flair. 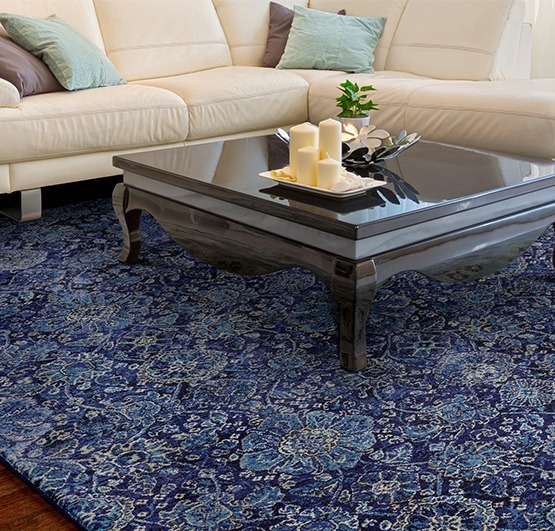 Remember to take a swatch of any fabrics you’d like to match with you when you shop for an area rug. That way, you’ll have a better idea of what will complement your existing décor. Don’t underestimate the value of an underlay. Not only will it absorb the impact of feet and noise, it will reduce wear and tear on the area rug and make vacuuming easier. When it comes to choosing an area rug, the fiber content of an area rug’s pile could play a major role in your decision-making. Choosing either a natural or synthetic fiber depends on a number of factors; the style of the area rug you are desiring, traffic within the setting you are purchasing for and overall cost. Within our extensive assortment we offer a number of natural and synthetic fibers within our area rugs, here are their benefits and points to consider.